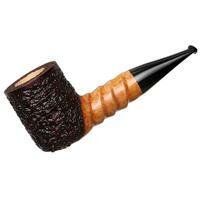 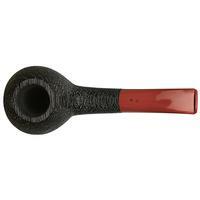 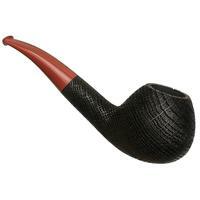 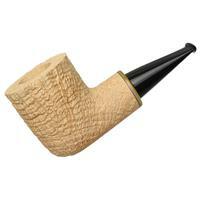 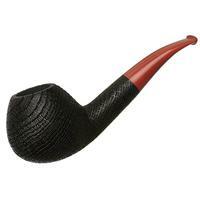 Quite the lithe and svelte piece from Radice, this bent Apple is an affable form in hand with a plump, tapering bowl and easy bend behind. 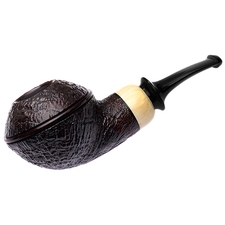 Proportion-wise, it's a compact rendition with a visual weight that's more balanced between shank and bowl compared to what we're used to seeing from the Italian marque's conventionally neoclassic shaping. 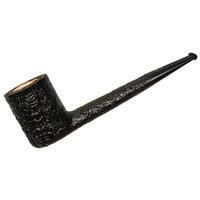 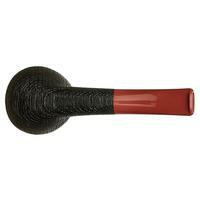 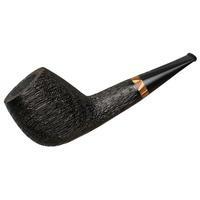 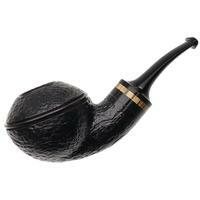 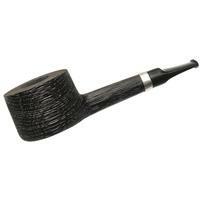 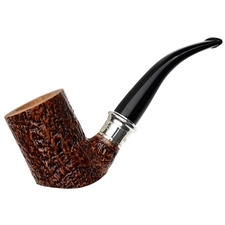 This one also happens to be fashioned from dense, ebony-dark morta, the sandblasted finish doing well to coax out the material's unique, grooved grain pattern. 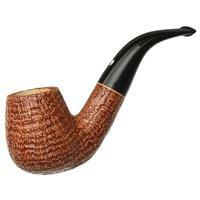 The ultra-smooth, vulcanite stem of burnt sienna hues, then, makes for quite the handsome presentation.